※ Ultra-high resolution corresponding with 7μm pixel. 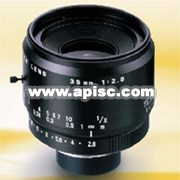 ※ Best optical performance for short-distant objects. 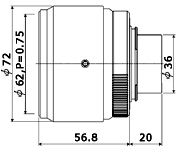 ※ Focus & iris lock screws against vibration and shock.